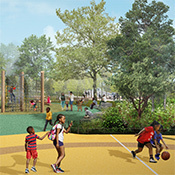 The Resilience Park connects the Grandy Village and Chesterfield Heights neighborhoods and includes a flood berm, a restored tidal creek and wetland and other environmental features as well as a multi-use sports field and places for community gatherings, sports and play. 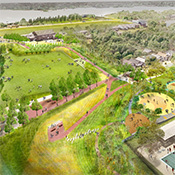 Resilience Park strives to be a model for resilient open space that is uniquely Norfolk. The project has just completed the Draft Environment Impact Statement (DEIS). The DEIS for the Ohio Creek Project is now available for review and comment. 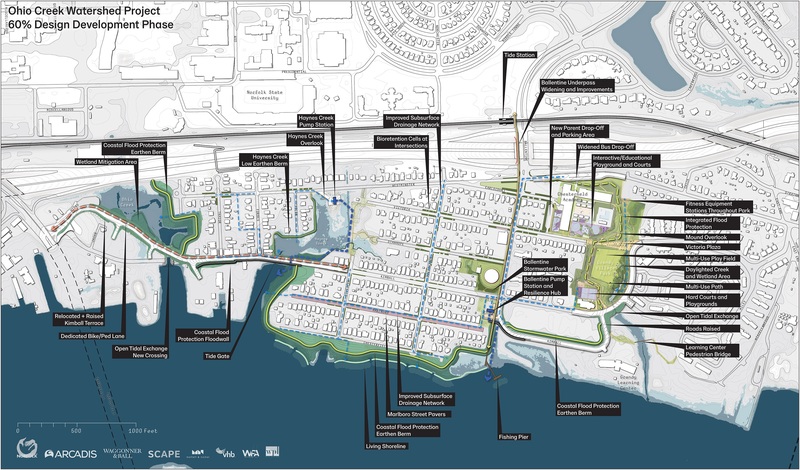 The proposed project consists of an innovative, holistic, regional resiliency approach that extends beyond infrastructure to encompass community and economic development. 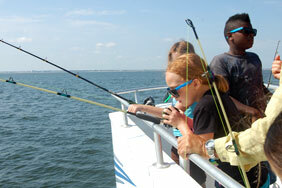 The Chesterfield Heights and Grandy Village neighborhoods have been selected to participate in a transformational coastal improvement project. 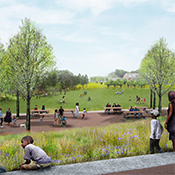 This $112 million project will reduce flooding, improve public spaces and ensure these communities thrive for years to come. The Ohio Creek Watershed includes two residential, predominantly African American neighborhoods with civic leagues and a strong community identity: Historic Chesterfield Heights with over 400 houses on the Historic National Register; and Grandy Village, which includes a public housing community with more than 300 units. The Ohio Creek Watershed experiences tidal and precipitation flooding. Only two roads access the community. One road is completely impassable during regular nuisance flood events. Residents have expressed concerns about being cut off from the rest of the city. Residents have also expressed concerns about shoreline erosion that exacerbates river flooding and prevents recreational activity. Norfolk was awarded a $112 million federal grant from the National Disaster Resilience Competition for the Ohio Creek Watershed Project. 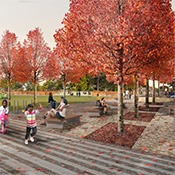 The project is exploring various landscape and hardscape options to improve flooding, public access to the waterway and connections to the rest of the city.